How to change your life for the better | Save. Spend. Splurge. Baby steps is the answer. Maybe today, you feel like a mess. Your car is filthy, you feel like you aren’t going anywhere metaphorically speaking, and you just don’t feel like you’re in control. A lot of people start changing for the better by easing into it, such as doing something as simple as..
Or just simply tracking their expenses each month to see what they spend. Or focusing on any ONE task and doing it right before moving on to the next. 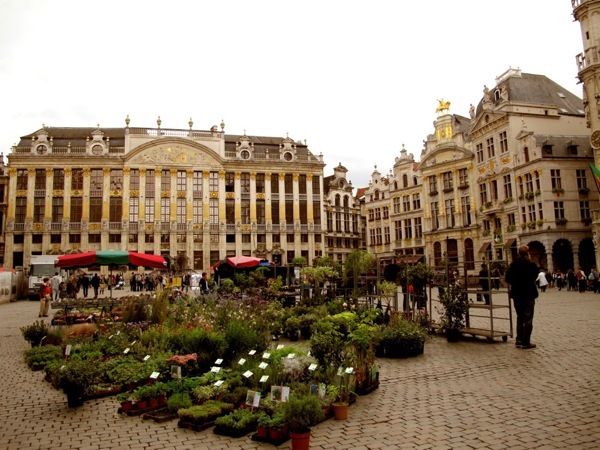 Start a garden shop in the middle of La Grande Place! Just as you didn’t get into this rut over night, it will take longer than a night to get out of it. A lot of people who get out of debt and turn their lives around cite the change as being something gradual and simple. They started by losing weight, and after they got into an exercise routine they could stick to, they naturally moved onto the next thing to fix in their lives — their finances. Once they got used to disciplining themselves and learning how to stick to a routine (any routine) or schedule, the change seemed to happen effortlessly. Once you start changing, it’s hard to stop. The key is just to start somewhere, doing something to better your life.